The bus terminal Terminal AmanJaya located far away from the city center in the northern outskirts of Ipoh, close to the North-South Highway (NKVE). Fastest way to get there from or to downtown Ipoh is by bus. There is also a local bus (run by TransitPerak) which takes about one hour. 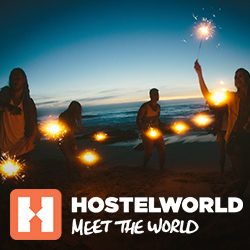 Below find links and a form to book bus ticket online to a variety of destinations. 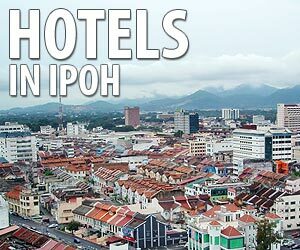 Ipoh is the capitol of the state of Perak. PerakTransit the local short-distance bus network with bus connections from Ipoh to Cameron Highlands (Tanah Rata, Brinchang, Kampug Raja; Kuala Terlah, Tringkap), Medan Kiddd, Sri Manjung, Lumut and others. Limestone hill in the north of Kuala Lumpur with a series of caves and cave temples. They are a sacred place for Hindus in Malaysia and the location of the famous Thaipusam celebrations at the end of January attended by up to one million devotees.